ATRs Should Not Accept Positions In These Queens High Schools. Lately the New York Post has been turning away from bashing teachers and have been identifying some really bad principals, here and here. However, as a Queens high school ATR, I thought it's time to list the schools where the staff have reported a hostile work environment on the latest school learning environment survey. Therefore, In other words a "do not apply" list. This post will identify these schools based upon their poor numbers. The lower the number, the higher the negatives. All schools with an overall score of 69% and lower is associated with a hostile learning environment at the school with the Principal the major culprit, are listed below. While the overall score of below 70% shows that the school's learning environment needs great improvement, the negative scores are more instructive of the hostility of the working conditions at the school and that reflects almost entirely on the administration, especially the Principal. Interestingly, the lowest overall score was at the Campus Magnet school with Jose Cruz as Principal. He was previously cited by the Daily News for giving the most "U" ratings than any other high school Principal in the city.. Being an ATR this year may be a blessing in disguise since the ATRs are not subject to the badly flawed teacher evaluation system or the "junk science" associated with it. Further, the difficult Dainelson framework cannot be used for the ATRs unless they take a provisional vacancy or long-term absence. For those ATRs thinking of taking either a provisional or long-term position, please do not apply to the school listed above....unless you want to get terminated! Thanks to JD2718 for supplying me with the list of Queens high schools. The Real Reason That There Is A Lack Of Arbitrators In The 3020-a Hearing Process. 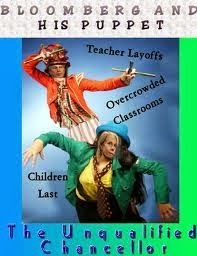 Friday on his radio show Mayor Bloomberg blamed the UFT for the glacial pace of the 3020-a hearings. A seemingly frustrated Michael Bloomberg went on to say that the teachers union refused to approve arbitrators and that the agreed upon 39 arbitrators are now down to 19! The result is that, according to the Mayor, there are 400 educators awaiting an arbitrator to hear their case. If only he had the authority to fire them all. The City has now filed a lawsuit that the teachers union is violating the April 2010 "rubber room" agreement. Both Mayor Michael Bloomberg and UFT President Michael Mulgrew failed to identify the major culprit for the long delays and lack of arbitrators, New York State. The State has failed to pay the arbitrators for up to three years with one arbitrator being owed $200,000! Is it any wonder that many senior arbitrators have quit the panel? Furthermore, the State's Tenured Teacher Hearing Unit expects a shortfall of a $2.03 million dollars for the 2013-14 school year. Therefore, many of the present arbitrators will be waiting years to be compensated for their work. Moreover, the State has reduced the daily fee for arbitrators from as much as $2,100 to $1,400 per day, still a godly sum but significantly less than before 2010 and has resulted in many of the best people not wanting the highly stressful arbitration position. The lower payment and long delays getting paid has resulted in many long-standing arbitrators to quit the panel. Apparently, many of the recommended replacements are not qualified and therefore only 19 arbitrators are currently on the panel or 11 less than what the DOE and UFT wanted as a minimum (30). While both the DOE and UFT have no control on the State's failure to pay the arbitrators, the DOE can use the mediation process to bypass the lengthy 3020-a hearing process. However, under Mayor Bloomberg the DOE only wants to terminate these 400 educators not settle no matter the time and cost. this is the DOE who rather waste over $40 million dollars in keeping the 400 cases in offices doing little or no work rather than the classroom than use mediation to resolve the cases. Yes, the very same DOE that is wasting $160 million dollars annually on 2,000+ ATRs rather than putting them in the classroom to eliminate overcrowding, uncovered classes, and reduce the largest class sizes in over a decade. What else is new. Principals Abuse The Credit Recovery Program To Achieve Artificially Higher Graduation Rates The Data Shows. The Department of Education released figures on how much "credit recovery" increased the citywide graduation rate. According to the DOE the graduation rate increased by 1.7% due to "credit recovery" (Gotham Schools found it to be 2.6% for schools who had a credit recovery program}. However, a closer look at the numbers showed that dozens of high schools had over a 5% increase in their graduation rates due to "credit recovery". 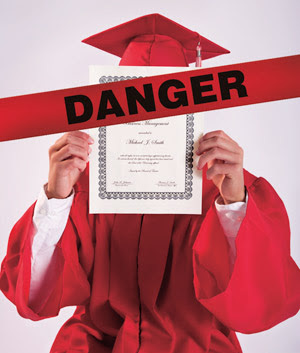 One of the most egregious examples of the abuse of the "credit recovery" system was at the Mott Hall V in the Bronx that reported that an astounding 46% of the credits earned by the ninth graders in 2011 came from "credit recovery" and in the latest data from 2012 an astounding 26% of the school's high school students obtained credits from "credit recovery" programs, third highest in the City. The Principal blamed the budget for not having enough teachers to give the students the classes and students abusing the system to earn easy credits. Maybe had he tried to hire experienced ATRs rather than the "newbies" he so dearly loves to employ and whom ended up leaving the school during the school year, it might have been different but that's a story for another time. Since the 2012-13 school year "credit recovery" has been restricted and under the new regulations the principals can no longer abuse the program, or so they say (seeing is believing). Is it little wonder that the college remediation rate is so high for our students and what value is there for a New York City diploma for those schools where "credit recovery" artificially boosted a school's graduation rate and where credits only required a student to sit on a computer for a week and answer some multiple choice questions? Will these principals be punished for abusing the credit recovery program? Don't bet on it. It's "children last"....Always. The hypocrite Chancellor has done it yet again. He proclaims that there is "zero tolerance" of teachers accused, but not found guilty of sexual misconduct but gives his managers and administrators a pass when they are accused. Now we find that the Chancellor has hired a man, James Brown that was sued for sexual harassment, bullying. racist comments and retaliation against a female dean at a Baldwin middle school who won the lawsuit against him. 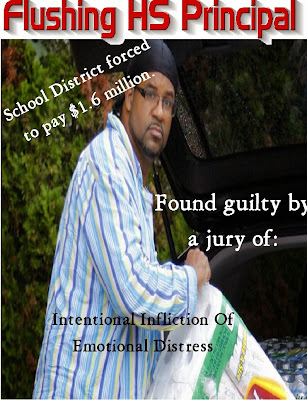 Notice, this was not just an accusation but a lawsuit where the preponderance of evidence presented showed that Mr. Brown was found guilty of such behavior. The story can be found here. Mr. Brown was removed from the Baldwin school in 2009 and was sent to the District office, away from the children, until he resigned in 2012. Mr. Brown was also accused of saying sexually inappropriate comments. While at Baldwin, Brown was accused of remarking on the tightness of a female student’s pants, said a federal lawsuit against him. He also said to the female dean to make a school report “tight as a virgin’s, well, you know what is tight on a virgin,” she reported. Yet our so-called "zero tolerance" clueless Chancellor hired him to be a Principal of an already troubled Flushing High School, unbelievable! Chancellor Walcott has, once again, has been exposed as a hypocrite and practicing a "double standard" when it comes to teachers and administrators. Remember these stories here and here? It seems our clueless Chancellor does not "practice what he preaches" when it comes to selecting and disciplining the DOE administrators. Thank goodness we only have 99 more days of his inept and terrible leadership of the New York City schools. Tick, tick, tick. Mayor Bloomberg's Legacy Is His Contribution To The Widest Wealth Inequality In New York City Than In Any Other City In The Nation. One of the more obvious and at the same time, disturbing results of Michael Bloomberg's tenure as Mayor of New York City is the "wealth gap" that he leaves the next Mayor to try to solve. Under Mayor Bloomberg's policy of "what's good for the rich is good for the city" the disparity between the rich and poor in the City is the widest in the nation. The statistics showed that the top 20% of city residents had an average income of $222,871 while the lowest 20% was $8,993 or 25 times less than the top 20% and almost 50 times lower than the top 5% ($436,931). While Mayor Bloomberg can't be totally blamed for this "wealth gap", his policies certainly contributed to it. As for poverty, the latest numbers show the highest poverty rates since the Mayor took office at 21,2% meaning that 1.7 million people live below the poverty level. Moreover, 31% of children 17 years old or younger lived in poverty which is very disturbing.. In addition, the unemployment rate rose to an unacceptable 8.6% last month. I have written previously how Mayor Bloomberg's education legacy has been a failure. Now you can add the outrageously wide "wealth gap" to the failures of the Bloomberg Administration. The arrogance of the Mayor's policy of "what's good for the rich, is good for the masses" resulted in his disconnecting with the people of New York City. A prime example was his selection of the inept Cathie Black as Chancellor of the New York City Public Schools simply because she was part of his wealthy social circle of friends. 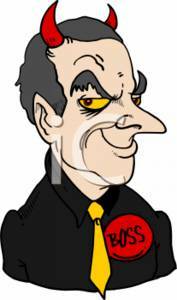 Under Mayor Bloomberg's tenure there is definitely a "tale of two cities" His arrogance can be seen in his refusal to negotiate a contract with the municipal unions, many of them working class and making modest salaries, with some unions working without a contract for over 4 years! Yet he seems to spend billions on high-priced consultants, some of them crooked (Citytime, 911 etc.). Is it any wonder that the anti-Bloomberg candidate, Bill de Blasio received over 40% of the vote in the Democratic primary while Christine Quinn, his choice received only 15%? Most New Yorkers are sick of Mayor Bloomberg and his policies that shows disrespect for the masses and tries to impose his own preferences to remake the city in his own image. Michael Bloomberg's legacy is a mixed bag with his destructive education policy, the ever widening "wealth gap", and his disrespect of his municipal workers overshadows his stewardship in bringing New York City through many crises in good shape. 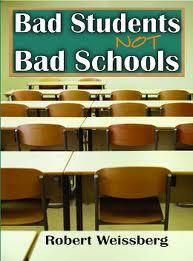 Diane Ravitch's Book Exposes The Education Reform Agenda As A Hoax. 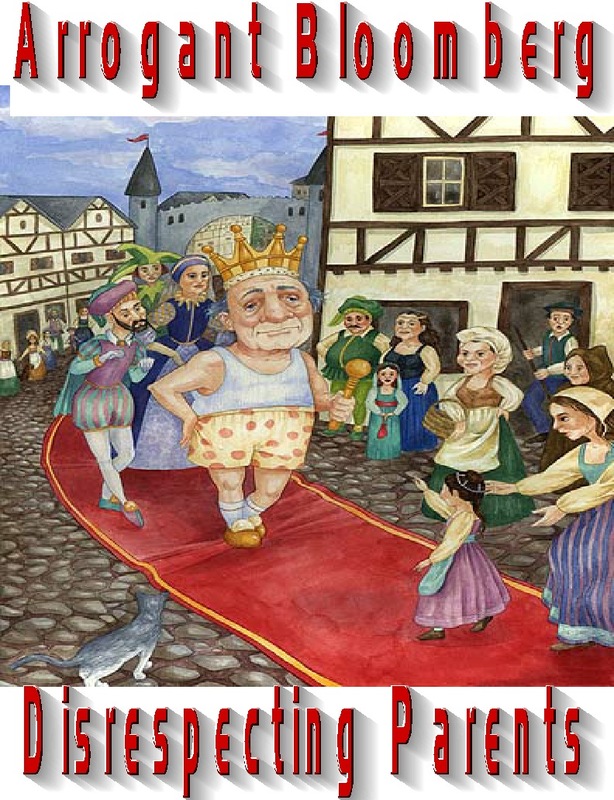 Diane Ravitch's new book, "The Reigin of Error" exposes the education reformer agenda as being flawed and not in the best interests of the students. She goes on to tell how the education reformers are simply trying to privatize the schools and to reduce the teaching profession to an "at will employee". Ms. Ravitch points out how the education reform movement ignore the many issues associated with poor student academic achievement and blame the poor performance on school educators, especially the teachers. She writes in her book how the education reform movement ignores the most important predictor in a child's academic achievement and that is poverty. Almost all studies show that a child's social-economic environment is the major factor (80%) affecting the student's academic achievement, yet the education reformer will claim that "poverty is no excuse", as if it's the school's fault. Ms Ravitch exposes the education reform "no excuses" as a fraud. She shows how children in poverty lack many of the basics that allow for academic achievement. Dysfunctional family life, unsafe community, and negative peer group pressure are ignored by the education reformers as if they don't matter. Moreover, Ms. Ravitch shows how the lack of resources, large class sizes, and high teacher turnover are a major factor in a student's academic achievement yet the education reform movement never mention these issues. Instead the claim a "quality teacher" is the only thing necessary for a child's academic achievement. Her book points out that in struggling schools in deep poverty have frequent turnover of teachers and many of them leave the classroom before they even get tenure. As she points out, these schools need experienced teachers and a stable school environment. Instead the education reformers see no problem with high teacher turnover and the "Teach For America" two year wonders and still expect the students to excel academically.What a fantasy. Finally, she shows how most charter schools do no better than the public schools and how these schools are segregated and take resources from the public school system. She also states how these charter schools discourage the most needy of students from applying and staying in the school. She points out how "high needs students" like special education, English language learners, and behaviorally challenged students are discouraged from attending the charter schools and will not provide services for them. Instead they are counseled out of the school by the lack of services, a more stringent discipline policy, and the threat to not promote the student to the next grade. 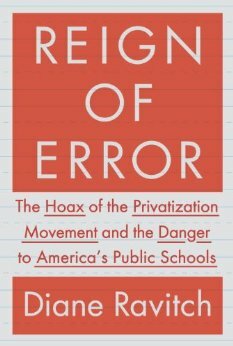 Reading "The Reigin Of Error" exposes the education reform movement as a hoax and is a "reformer policy first, children last" policy. To Be A Quality Teacher, One Must Have A Passion For Teaching. I am sick and tied of reading articles by so-called "education reformers" and charter school supporters who claim that "newbie teachers" are "quality teachers". To be a "quality teacher", one must have these characteristics. They are experienced, a deep knowledge of the curriculum, good classroom management skills, a connection to their students, and most of all a passion for teaching. While a "newbie teacher" may have enthusiasm and a commitment to help students, the steep learning curve in their first three years in the classroom makes it virtually impossible to achieve what most educators know what makes a "quality teacher". In those first three years most teachers are just fully understanding the curriculum, developing good classroom management skills, and deciding if the classroom was the right profession for the teacher, almost 50% decide it isn't. 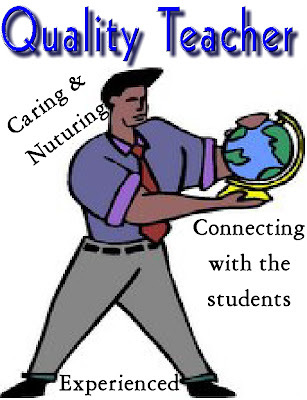 Which brings me to what stands out as the hallmark of all "quality teachers" and that is a passion for teaching. The best teachers connect with their students and this student/teacher connection develops when the student soon realizes that the teacher has deep curriculum knowledge, keeps a peaceful classroom, and is caring and nurturing. However, the best of these "quality teachers" have one other thing in common and that is a passion for teaching. When the students see that the teacher really enjoys teaching them, they inspire the students and buy into the subject the teacher is teaching. Time and again, first, as a student and now as a colleague, the best teachers in the school all were passionate about teaching their students. They didn't think of it as simply a job but a calling. By contrast, it is a crap shoot when a "newbie teacher" is assigned to a classroom and since half of them will leave before they get tenure, I certainly wouldn't want my child being a guinea pig in a class where the teacher is subject to a steep learning curve and unsure if their future is in the classroom. The education reformers and their media friends can spout their lies that "newbie teachers" are "quality teachers" but educators know the truth. 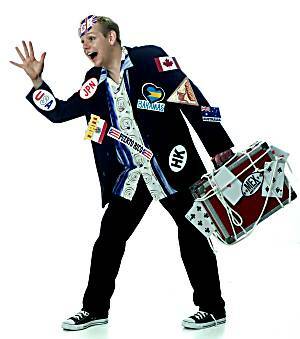 Just ask a parent would they expose their children to an untested "newbie" or an experienced veteran? The answer is obvious. 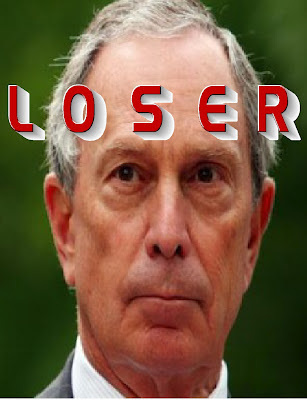 The Real Losers In The Mayoral Primary Are Michael Bloomberg And Christine Quinn. The Daily News published an editorial today that stated that the losers in the Bill de Blasio victory was Anthony Wiener and UFT President Michael Mulgrew. While Anthony Weiner's collapse to less than 5% was significant, he was a long shot to be Mayor without union support. 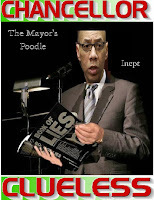 While its true that the UFT backed the wrong horse in Bill Thompson, it hardly makes the UFT a loser since many teachers voted for Bill de Blasio and the UFT will eventually support his Mayoral bid. By contrast, the real losers were Mayor Michael Bloomberg, and Christine Quinn who only received 15% of the Democratic party primary vote. Worse for the Mayor were that the voters in the primary wanted to see a change in the Mayor's policies, especially in education. Every news media showed that the voters in the Democratic party primary for Mayor were sick of Michael Bloomberg's imperious reign and his micromanagement of the City. The widespread dissatisfaction of the Mayor resulted in Christine Quinn coming in a distant third and many voters blamed her for Bloomberg;s third term and rightly so. Who were the real losers in the Democratic party mayoral primary? It was Mayor Michael Bloomberg and Christine Quinn of course. I say goodbye and good riddance to the two of them. 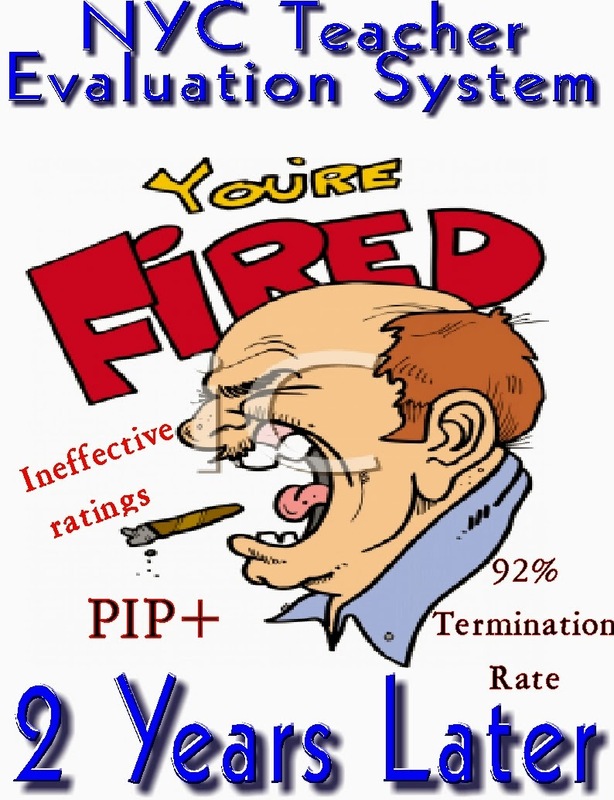 Why Doesn't The Union Tell The ATRs That They Are Not Subject To The Teacher Evaluation System? I was reading the union propaganda rag, the New York Teacher, and noticed that the paper published an article that said who were and who were not subject to the flawed teacher evaluation system. Absent from the list who were exempt were ATRs. Was this omission deliberate? I think it was, why else would our union ignore over 2,000 teachers? I guess they don't want people to know the truth. Let me clarify the issue. ATRs who are not in the classroom the entire school year will not be evaluated under the new system since no pre-test or post-test baselines can be established for them. Therefore, if a teacher takes a long term leave position say after November 1st or leaves before the end of the school year, they can only be evaluated under the old system "S" and "U". 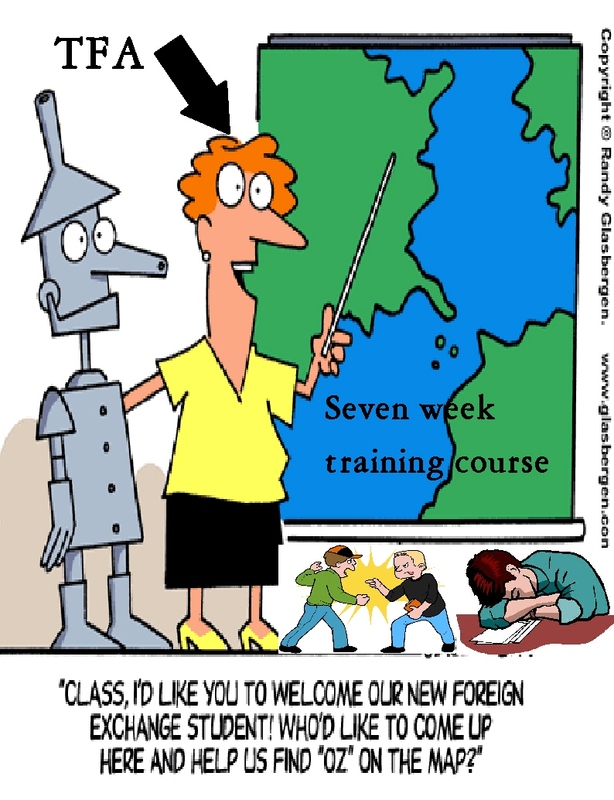 A much better system for teachers. If the ATR is unlucky and takes a long-term leave position in a school that does not meet the following criteria, I wish you all the luck in the world because you're going to need it. The criteria is listed below. Chancellor Dennis Walcott's Teacher Approval Ratings Are In Cathie Black Territory And That's Bad, Real Bad. What's surprising is that 27% of the teachers are satisfied with the Chancellor, what planet are these teachers from? Certainly not the planet Earth. How does Chancellor Walcott's rating stack up with the scores of the last two Chancellors? Let's compare them. (57%) with Dennis Walcott than when Cathie Black was Chancellor (54%). 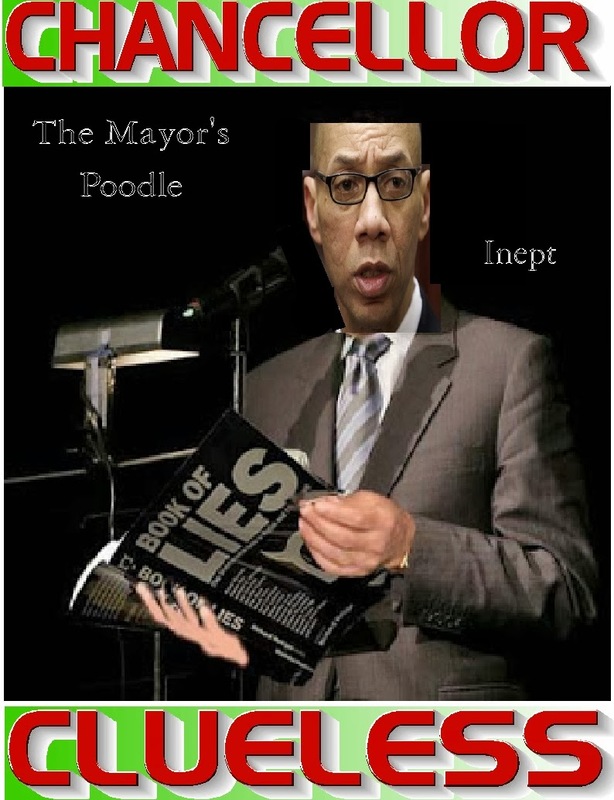 While its obvious that the three Chancellors under Mayor Bloomberg have been unpopular, Dennis Walcott was supposed to bring with him a kinder, and gentler supervision. 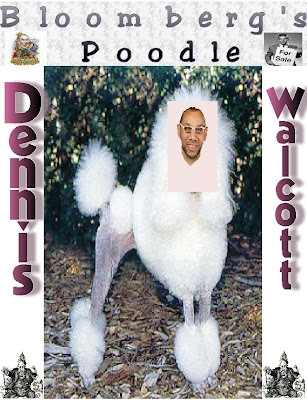 Instead Dennis Walcott has alienated teachers with his advocacy for punitive measures, especially against teachers in the classroom. Let's look at the issues that have made the Chancellor so unpopular with the teachers. His lack of independent thought from the Mayor's anti-teacher crusade. The Chancellor's advocacy on the "LIFO" repeal. 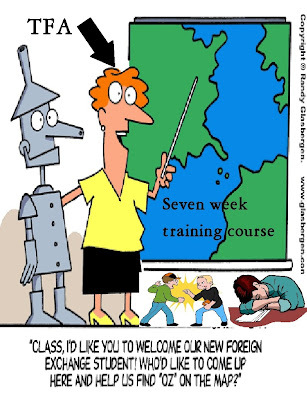 Ever increasing class sizes and tight budgets. A total failure to connect with the teachers in the trenches. A lack of accountability at the top and an ever widening achievement gap. The closing of schools and more money going to charter schools. His demand to overturn arbitration decisions on charged sexual misconduct cases. The continuation of failed policies and meaningless graduation statistics. The "fair student funding" formula that stops principals from hiring the best teachers. The continuation of the ATR crises. 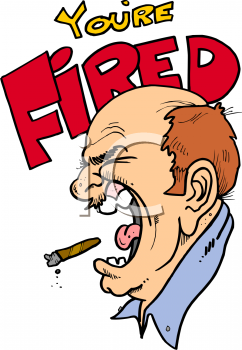 The "double standard" when it comes to disciplining teachers and Tweed managers. As a teacher if I had 57% of my students dissatisfied with me, I would be a failed teacher and should be terminated. However, the Chancellor is not held accountable for his poor scores. but the good news come January 1st, 2014, Dennis Walcott will be gone and just a bad memory. Hopefully,. the next Chancellor will be an educator and discontinue the failed policies under the Bloomberg Administration. Back Into The ATR Pool For Me. Well, I am back into the ATR pool, complete with weekly assignments, administrative abuse, and student disrespect. Normally, I would be upset that I am not teaching but this year is very different than any other year. You see ATRs are not subject to the badly flawed teacher evaluation system! 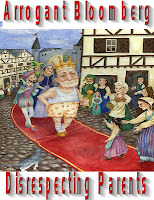 The Danielson rubric and the use of Common Core without a road-map or resources. That's right, ATRs will be rated under the old "satisfactory/unsatisfactory" system since the DOE cannot account for the "student growth" component that is incorporated in the "junk science" equation developed by the State. Moreover, I look forward to travel throughout the Queens high schools and evaluate the three components that makes a school good or bad for teachers and you will find it on the resurrected "Traveling ATR blog". . The quality of the administration is of primary importance for a school's success or failure. Last year I had the pleasure of being in a school the entire year where the administration worked collaboratively with staff and had an experienced teaching staff. In this environment the students thrived academically and there was little fear of vindictive reprisals against effective teachers, even if they are outspoken since it's "what's best for the students" . By contrast beware of the Bloomberg small schools with "Leadership Academy Principals". The staff is usually inexperienced and are required to work extra assignments without compensation. These schools are dangerous to the long term survival of a teacher. The student body is extremely important as the "peer effect" affects the overall student learning. A diverse and engaged student body will lead to a successful school like the one I was in last school year. 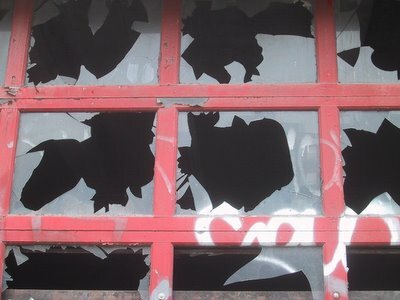 On the other hand, if the student body is disengaged and unruly, the "broken window theory" will come into effect and the school will fail. The "peer effect" will make or break a school's potential for success. Finally, school tone is very important and is usually a deal breaker for a school. The "peer effect" if it's a positive influence on the learning environment, the school will be successful. On the other hand, many schools are trying the restorative approach to student misconduct which allows the student to continue to disrupt the classroom time and again which interferes with student learning. While restorative approaches have their good points for the misbehaving student, it ignores the needs of the vast majority of students who follow the rules and want to learn but see that there is little consequence for student misbehavior. The school-wide restorative approach adds to the "broken window theory" and makes a successful school an impossibility for a school's academic success. A zero tolerance policy against student misconduct will eventually lead to a successful learning environment and go along way to make a successful school. In summary, if you are an ATR and a school calls you for a long term replacement, check out the school on insideschools and schoolbook to get an understanding of what the school environment is. Without the necessary information about a school, I suggest you think really long and hard about taking a long-term leave replacement. I certainly will, especially with the badly flawed teacher evaluation system and the punitive Danialson rubric that will damage the teaching profession for years to come. Why Teaching Experience Counts. My Story. I was appalled by the New York Times inaccurate "puff piece" on charter schools and why teacher experience is unimportant. In fact some misguided Administrator claims that teacher experience is a drawback. How unreal. You can read the NYT article here. Moreover, look at the rebuttal article from a retired teacher and the overwhelming response here. I can tell you that when I look back to my first couple of years teaching, I made plenty of mistakes, didn't fully understand the curriculum and my classroom management skills were atrocious. Yes, my enthusiasm was boundless and I was willing to work with my students on a moment's notice. However, overall, I was no better than a developing teacher who had much to learn. I looked to the more experienced Science teachers to help me overcome my many teaching deficiencies, especially when it came to classroom management. The two teachers that mentored me had a combined experience of 46 years in the classroom and when I went to observe them, I saw a peaceful classroom with many students engaged and asking rapid fire questions with the two teachers carefully explaining how things worked. Both teachers didn't teach to the test, what they did was to show how everyday items were employed and applied it to Science. Furthermore, they also taught in an interdisciplinary matter incorporating history, math, and other Sciences to give the students a total education that lasted through their adult years. Here I was, a newbie teacher, requiring a steep learning curve and "teaching to the test". My poor students weren't given the opportunity to ask in depth questions nor could I have answered them in my first year of teaching. Is it any wonder that my student's Regents scores were lower than the other two teachers? I felt bad that I let my students down. However, by my third year I had the experience to seamlessly incorporate the very lessons that my two mentor teachers were using and my students Regents scores improved, finally by my fifth year reaching the scores of the students my two mentors obtained. As I gained more experience, I saw a gradual increase in my students Regents scores. I now am in my 20th year and I can tell you that each year I learn more and more and refine my teaching style to make it comfortable and exciting for my students. In my early years I felt sorry for my students that they had an inexperienced me as a teacher but now I am impressed that my students only have good things to say about me that it was a pleasure having me as their teacher and that makes me proud. Ask the students if experience counts!